Newcastle were the only side to do the double over Brighton last season, and it would be good if we can do that again in the Premier League starting this afternoon at the Amex. Those two games last season were not easy and today’s game is also not expected to be easy either. 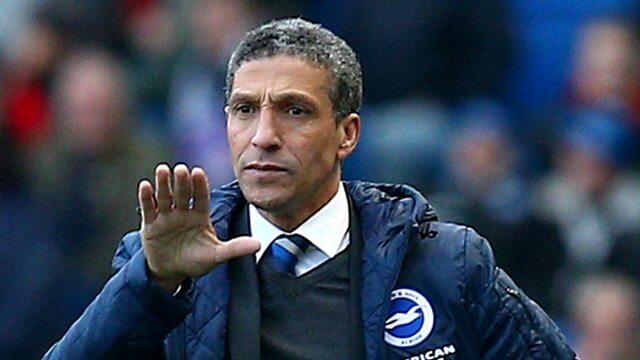 Chris Hughton has done a great job in just over two and a half years, and when he arrived, the Seagulls were fighting relegation from the Championship. Chris kept them up and then they finished third in the next season on goal difference ( 2 goals) to Middlesbrough who were promoted last year and then relegated last May. Then Brighton were automatically promoted with Newcastle last season – the two best teams in the Championship. Newcastle would say the same thing about Brighton – they are one of about 14 teams that we should be able to beat both home and away. Newcastle have already won against three of those sides – West Ham, Swansea, and Stoke over the last three games. It’s the top six sides – the two Manchester clubs, Chelsea, Arsenal, Liverpool and Tottenham who are difficult to beat. We hope we can get four wins in a row this afternoon at the Amex stadium and that would be the first time we have done that since we won all of our four league games in November 2013. So am I not ‘normal’? Gee thanks. I think whoever scores first wins today. We don’t start playing until 20 minutes in. If they score in that first 20 mins they will defend the lead. If they don’t then we’ll come into the game and nick one. Will be a tight game either way. My biggest gripe with Benitez is his inaction when we are behind, still don’t get a sub until 75 minutes even if we’re 2-0 down! Anyway, keep them out for the first 20 mins and we’re away. Not righting Perez off yet at all. Only thing holding him back from taking the next step is what’s between his ears. And certainly hoping he figures it out – and I think he will with Benitez working with him. I think the same for Mitro and Mbemba as well. Nervy first 20, get more confidence, 0:0 half time, having had the better half, Joselu scores then The Captain nods one in on the 75th minute to give us a 0:2 win. the big question being…WTF is normal??? Maybe we should leave that to the likes of Stephen Hawking and Darwin to work out…not for your average punter who contributes on here…might just outside our skill set. Whatever normal is, I want no part in it! Betsy…I don’t really want to engage you and personally I don’t really get why it’s any of your business. Take a look at the post lesh made I think it was directed at you as well…I just wanna say you are true inspiration to all of us. Thank god the blog is blessed with your presence. Ibiza…I hope one day I’ll be worthy! To everyone else…I am truly sorry you have to witness what has just transpired. It really shouldn’t have to be an issue on here how my life is constructed…back to talking football! Legolas…yeah I wasn’t sure what soft play was 🙂 but a quick google sorted that out!